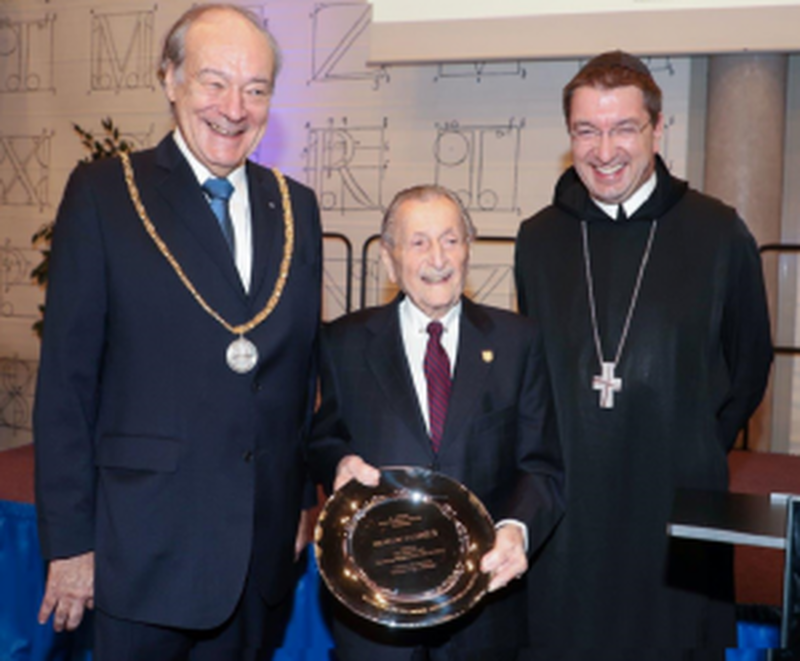 On 20th January, the European Academy of Sciences and Arts awarded the Prize of Tolerance to Marko Feingold, who is with 104 years the oldest Holocaust survivor in Austria. As President of the “Israelitische Kultusgemeinde Salzburg”, Marco Feingold is concerned with informing especially the youth where racism, social exclusion, and all forms of discrimination lead to. The laudation was given by the Archabbot of St. Peter, Korbinian Birnbacher, who honoured Feingold’s care of many Jewish camp victims, and his activities for raising awareness among schools.